The coloured ribbon and wrapping paper can be reused for several purposes. 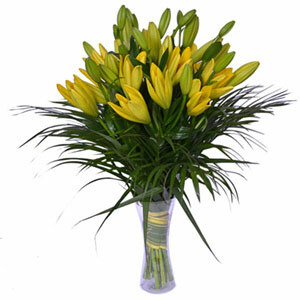 Most species of lilies are odourless. 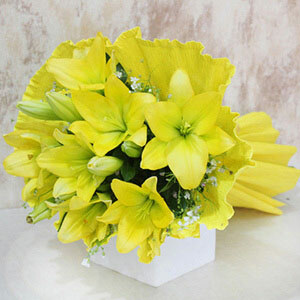 Lily can reproduce from seeds, tissue, and bulb culture. Looking for something different to gift to your loved ones? 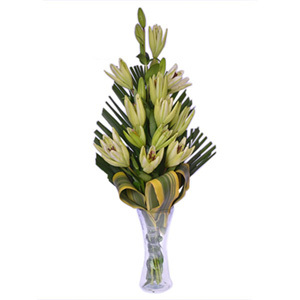 Then this flower bouquet is what you might be looking for. 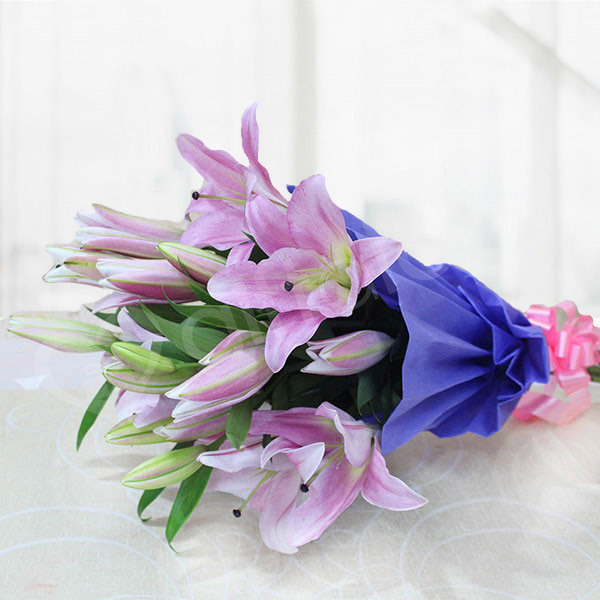 This bouquet is made with a bunch of purple oriental lilies that would brighten the mood of your loved ones instantly. 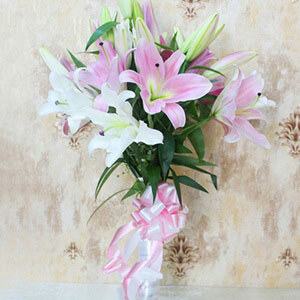 Thank you for delivering such fresh and beautiful flowers on time!. These lilies were very fresh! !